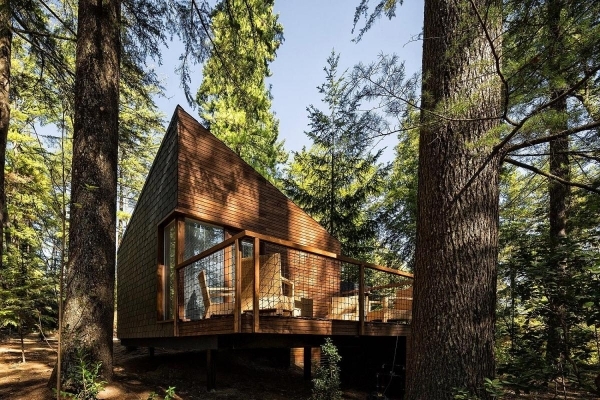 We love the idea behind these modular cabins. They are built to adapt to their specific location, allowing them to adjust to the surrounding nature. 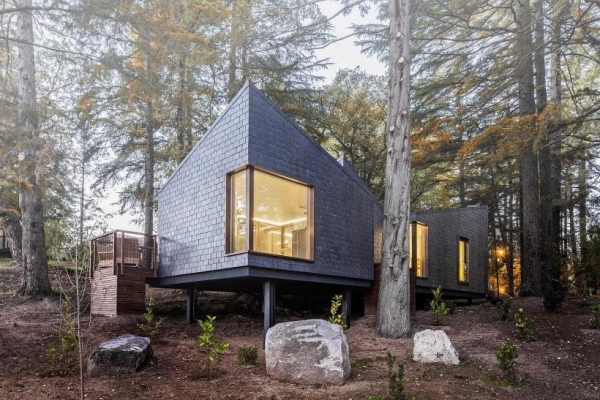 Located in Portugal, at the Pedras Salgadas Spa & Nature Park, these wonderful spaces were created by Luís Rebelo de Andrade and Diogo Aguiar. 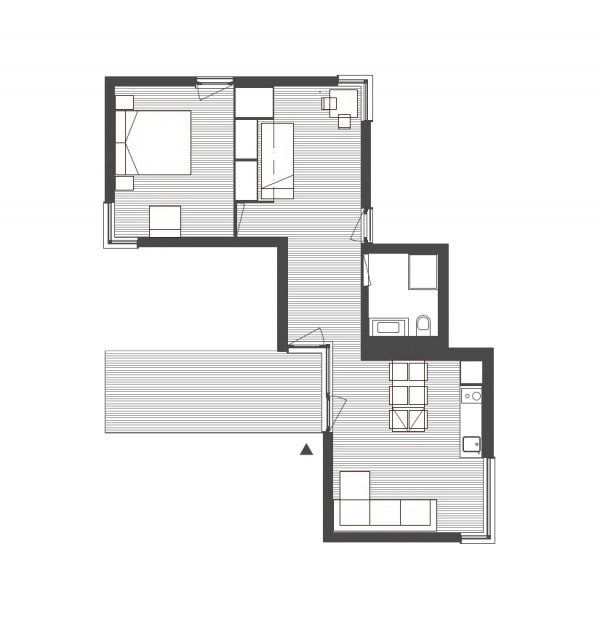 There are many different floor plans available with these modular cabins, but each floor plan is five hundred and seventy square feet. 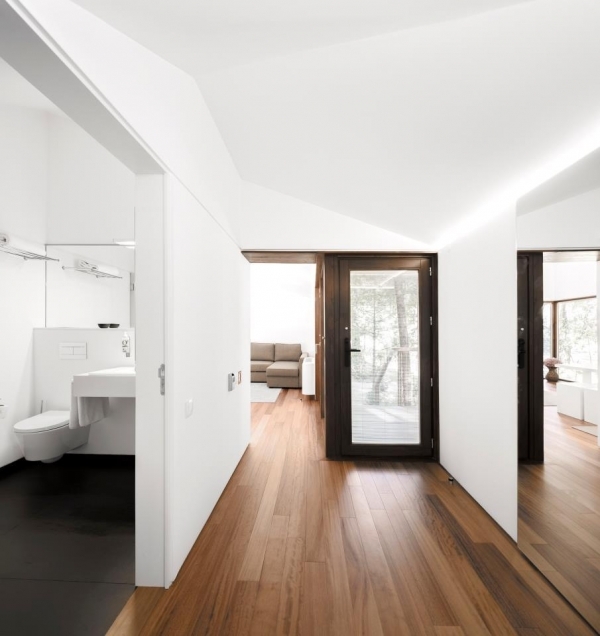 The cabins are composed of three sections: the living section, the entry section, and the bedroom section. 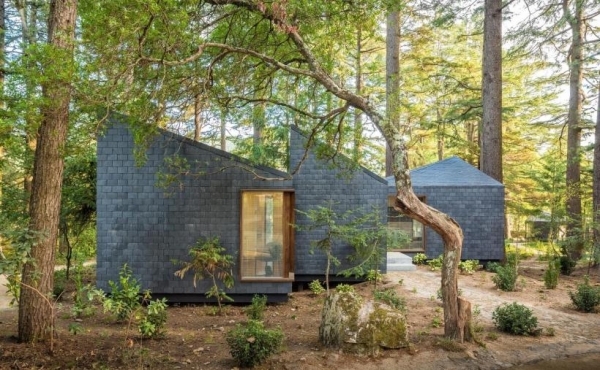 The exterior of the modular cabins are a gorgeously dark slate tile. 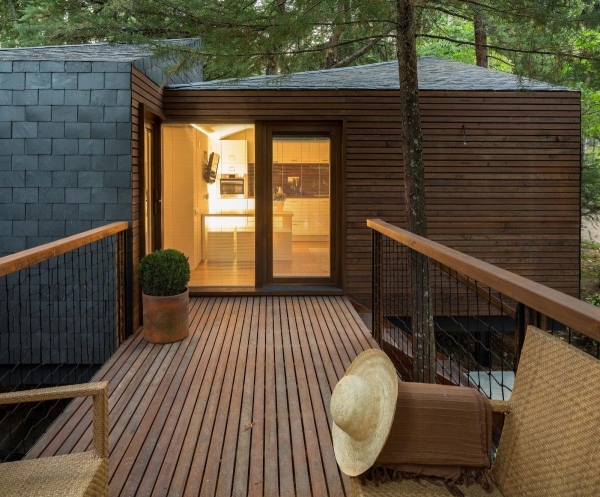 The deck area consists of beautiful wood that complements and contrasts the tile. We absolutely adore this combination, it looks lovely and it highlights the outdoor space. The shape of the homes are positively phenomenal with their wonderful angles, and they fit in beautifully with the marvelous scenery. 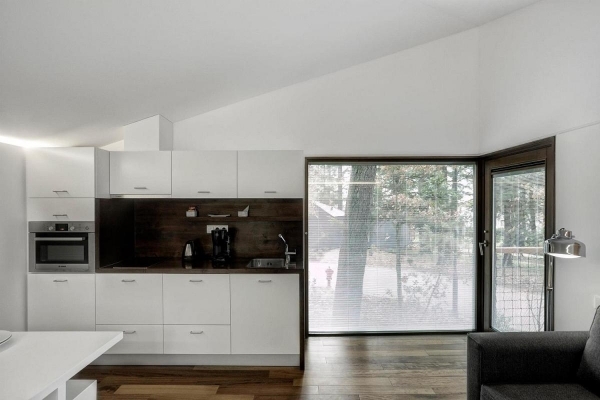 The inside of these modular cabins are bright white, with large windows and gorgeous hardwoods. The living section is a combined living room, dining room, and kitchen. The seating area has a comfy sofa and an area rug. 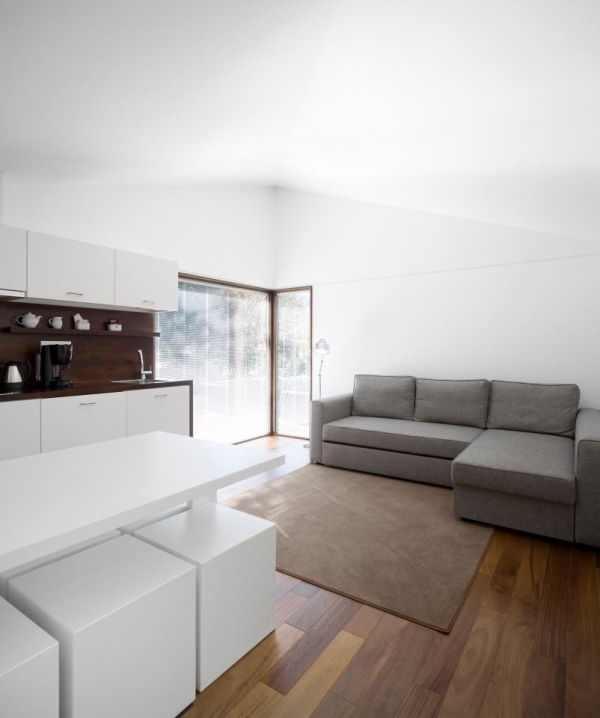 Across from the sofa a white table and white square blocks create a striking dining space. Above the table, a television, is placed on the wall, providing perfect viewing from the couch or the eating area. 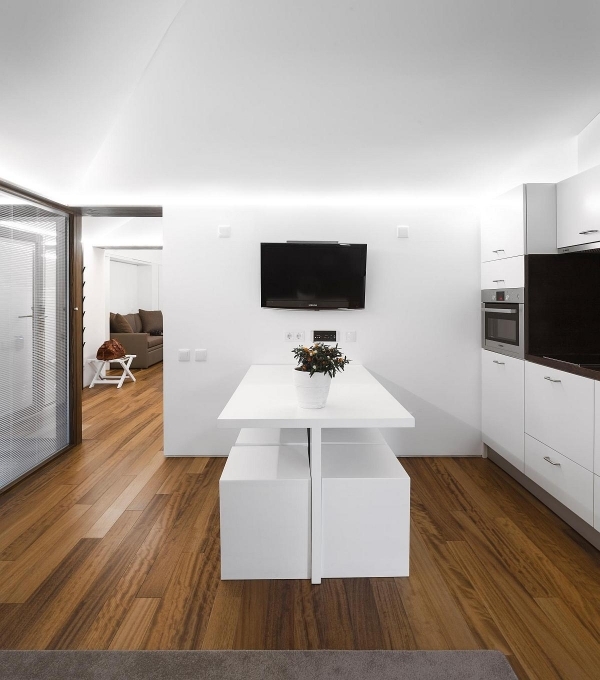 The kitchen in this living section is sleek, with its dark wooden accents and modern white cabinetry: simple and lovely. 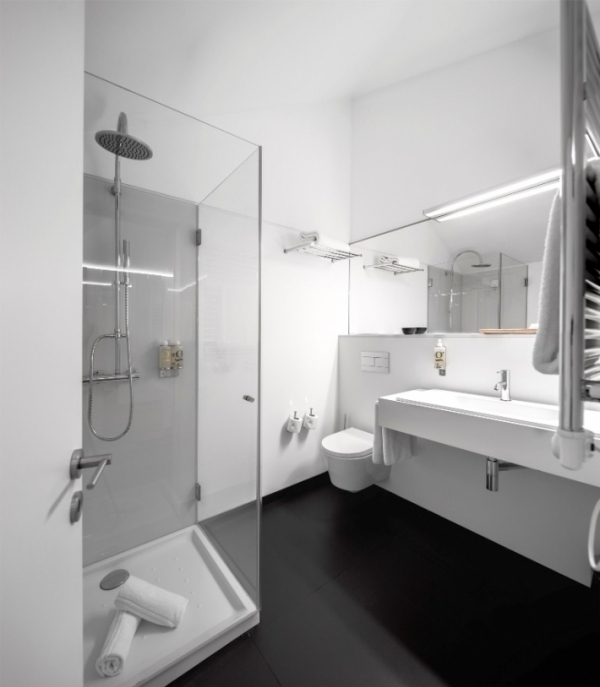 In the entry section, the bathroom has fantastic fixtures, a glass shower, and beautiful black floors. 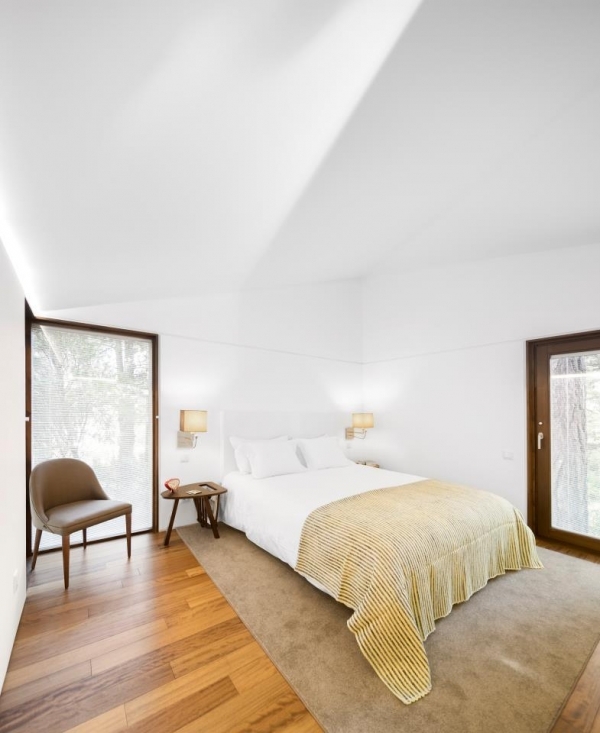 The bedroom section is wonderfully inviting with its comfy bed, bedside tables, large windows, and fantastic chair. 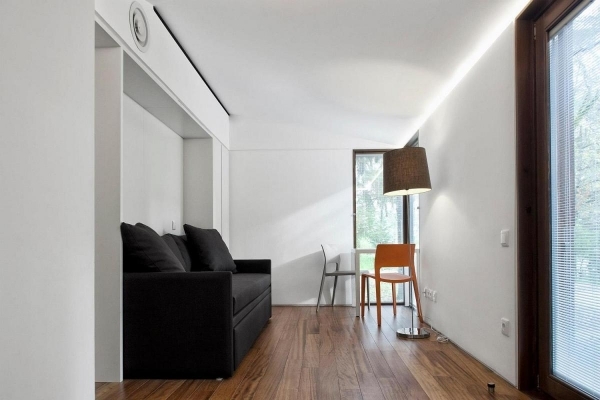 This section includes a wonderful flex space. 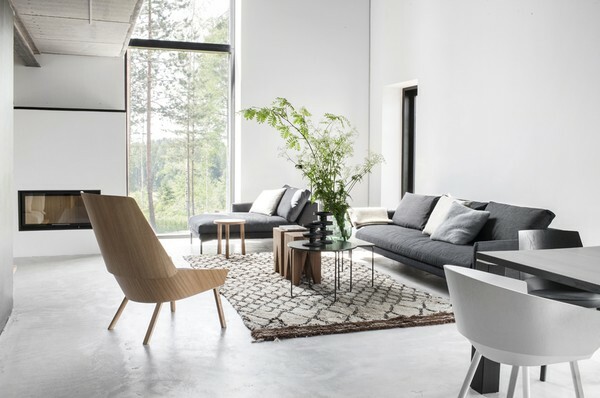 In this particular flex space, the amazing hardwoods continue, and a black sofa and a delightful seating area, fill the room.